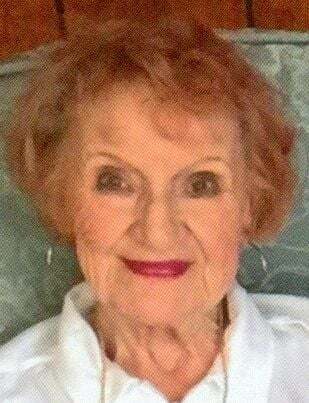 CASEY — Mary E. Dillier of Casey, Il passed away Sunday, April 14, in Urbana Illinois after a brief illness. She was born August 22, 1924 in Martinsville, Il to Edgar and Nellie (Ennis) Fasig. Mary spent all of her adult years in Casey claiming it was the best place a person could live, trying to convince her children to stay close. She married Walter Dillier in 1949 and together they had six children. She was preceded by her husband Walt in 1987, an infant son Walter Lee, eighteen-month-old daughter, Joyce Ann, and twenty-four-year-old son Steven Lee. She is survived by a daughter, Betsy (Max) Mitchell of Champaign, Il., two sons, Mark (Mark Seei) both of Palm Springs, Ca. and Joe (Halina) of Bloomington, Il., grandchildren, Erin Mitchell (Ryan Martinson) of Champaign, Drew Mitchell of Casey, and Joseph Dillier, attending U of I in Champaign and great-grandchildren, Jules and Maddie both of Champaign. Mary enjoyed farm life, sponsoring a men’s softball team (Dillier Oil) for several years. She also funded a scholarship program at Lake Land College in Mattoon in her son Steven’s name helping numerous local students attend college over the years. A proud lady never telling her age until recent, “just let them wonder” she would say. Visitation will be from 5 to 7 p.m. Wednesday, April 17, 2019 at Markwell Funeral Home. A private memorium will be held at a later date. In lieu of flowers, donations may be made to the Casey VFW, 300 S. Central Ave., Casey, IL 62420. The only measure of your words and your worth, will be the love you leave behind when you’re gone. To view the full obituary or send a condolence message, visit www.markwellfuneralhome.com. Markwell Funeral Home, 200 N. Central Ave., Casey, IL is in charge of the arrangements.